Myra Barrett, DVM, MS, DACVR, will cover techniques used in equine radiology and will discuss benefits and limitations of different imaging modalities. In addition, she’ll provide tips on how to maximize the performance of ultrasound-guided procedures in the field. Myra Barrett earned her DVM from Colorado State University (CSU). Her diagnostic imaging residency was based at CSU but included training with multiple equine imaging experts in the US and internationally. Dr. Barrett is an associate professor of equine diagnostic imaging at CSU. 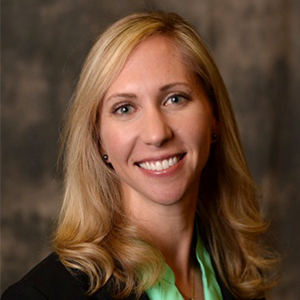 Dr. Barrett’s primary research and clinical interests are musculoskeletal imaging and comparative imaging, and she works closely with the equine surgery and sports medicine services. She is a founding member of the subspecialty of the ACVR in equine diagnostic imaging. She is also a founding partner of Inside Information Radiology, a veterinary teleradiology company that specializes in equine diagnostic imaging. June 19 / 9 a.m.-4:30 p.m.
Benefits and limitations of different imaging modalities for evaluating lameness referable to the distal limb and common abnormalities. Maximizing performance of ultrasound guided procedures in the field. The primary focus will be radiography of the stifle including technique and evaluation. Ultrasound and advanced imaging will be briefly discussed as well. Radiography, ultrasound and nuclear medicine: When, where and how to image and what to do with what we find. A discussion of how to improve radiographic image quality and interpretation as well as how CT can help us.